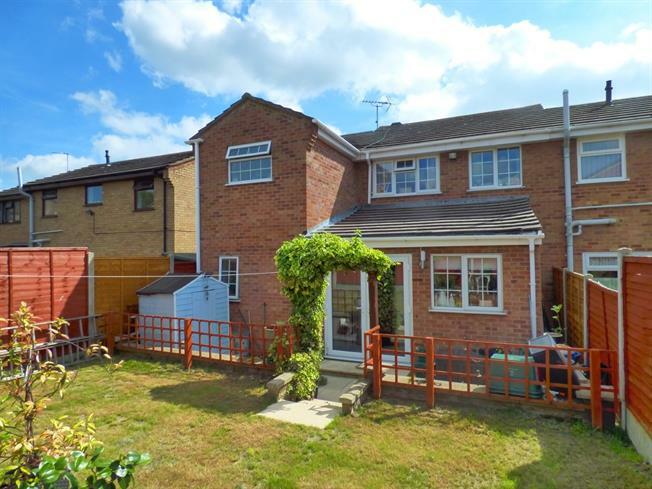 4 Bedroom Semi Detached House For Sale in Colchester for Offers Over £300,000. Upon entering the porch. The downstairs comprises of a generous family room with double doors to a fully equipped modern kitchen diner leading to a cloakroom, further storage and fourth double bedroom/study. Off the landing is a modern family three piece suite bathroom and three further bedrooms, the second boasting a dressing room and the master offering contemporary en suite plus built in storage and dressing area. The front exterior has off road parking and the rear garden is landscaped with paved and decked areas.